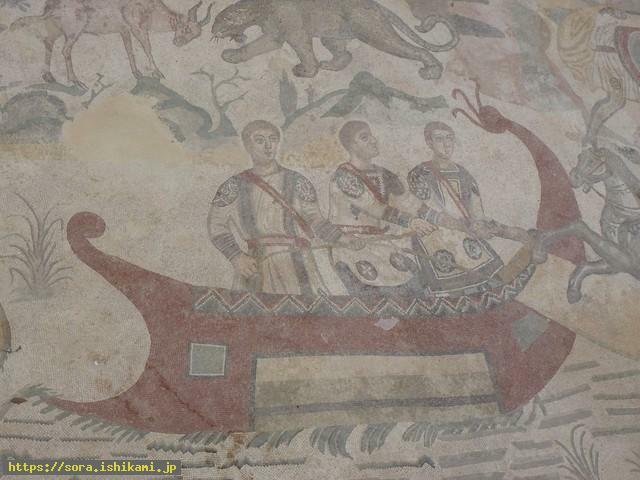 You can see the lives in Roman times well by this Mosaic images. Lots of snakes or animals that we have never seen are drawn. 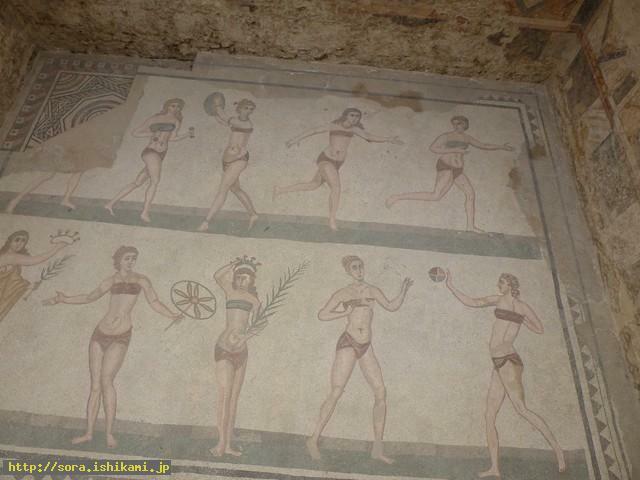 The bikinis in Roman times. It may take some more time before I understand the meaning of bikini. There is a mosaic down below this painting and it seems to have a little deep meaning. It was also the purpose of this visit to Sicily because I wanted to see the shocking mosaic of women who wears exactly the same bikini in Roman times as the women now play sports. It seems to take some more time before I understand the meaning of it. 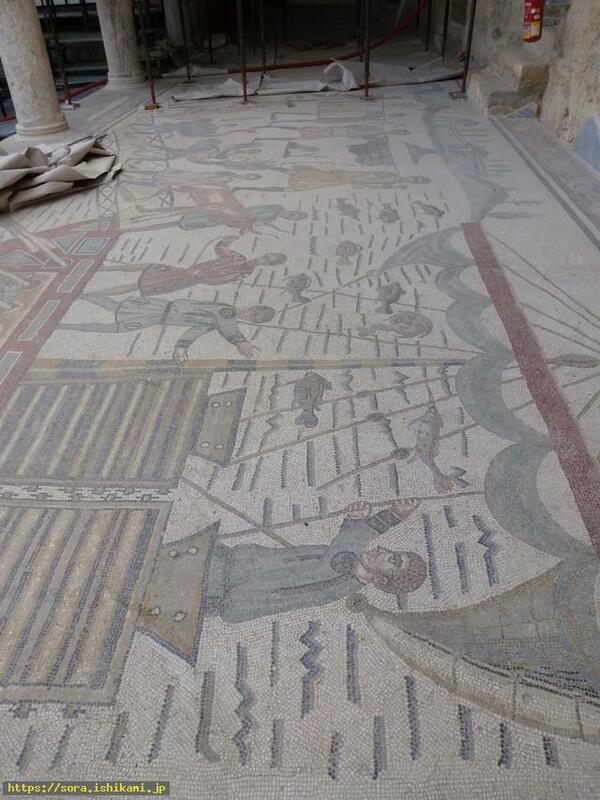 I was told the ships long ago moved themselves and I found the mosaic which show many ciliums at the bottom of the ship. It moved like snails with ciliums. I still don't know why the ship of the sun which were excavated in the desert of Egypt turned into wooden ones. Birds were flying in clouds because a little bad Sirius and bird seat which is the mate of star of salt tried to let us know the evil of two islands. 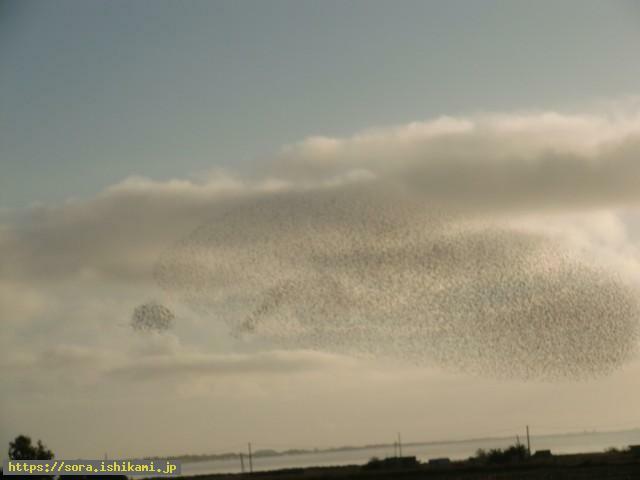 When we arrived, those birds came flying through the air just above us. Those horde of birds made the view dark in an instant and they descended near us.